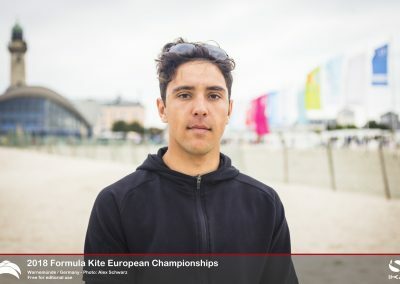 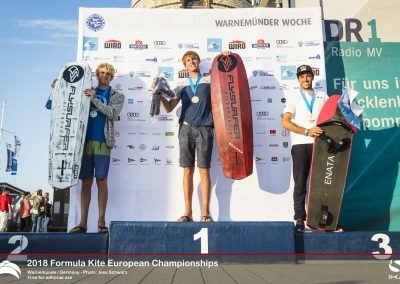 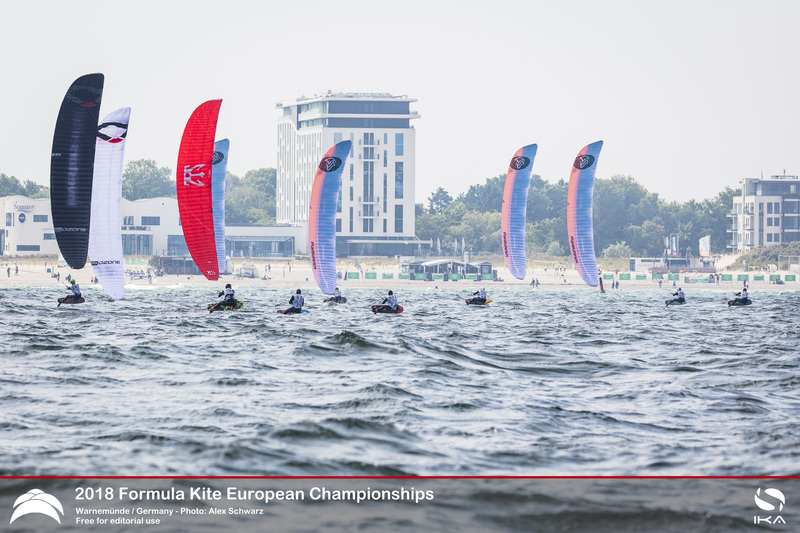 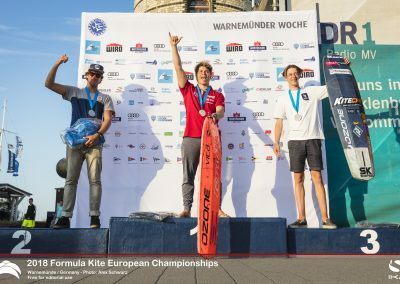 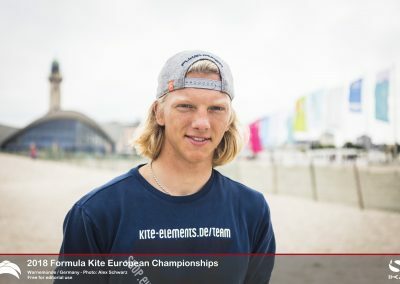 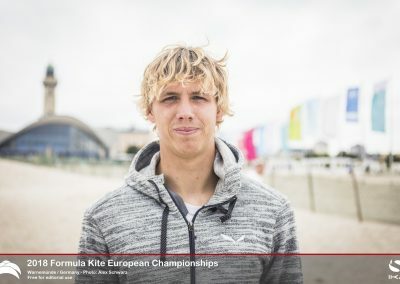 With a week of thrilling racing in conditions from 6 to well over 25 knots, the Formula Kite 2018 European Championships came to an end yesterday with FLYSURFER athlete’s Guy Bridge and Daniela Moroz taking the overall honors and medals at the hydrofoil racing kiteboarding event during the 81st edition of the “Warnemuender Woche” in the north of Germany. 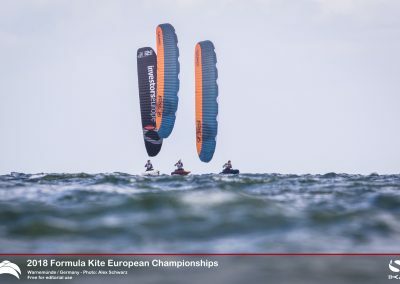 The Formula Kite Class emerged from kiting’s course-board racing discipline, latterly embracing kite hydrofoil’s rapid, cutting-edge developments. 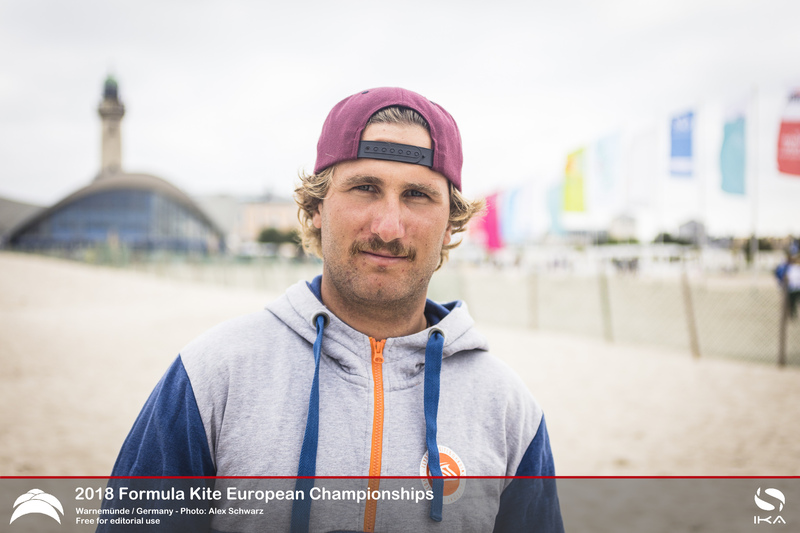 By limiting kite equipment, the class’s aim is to create a level playing field, ensuring the best athletes win. 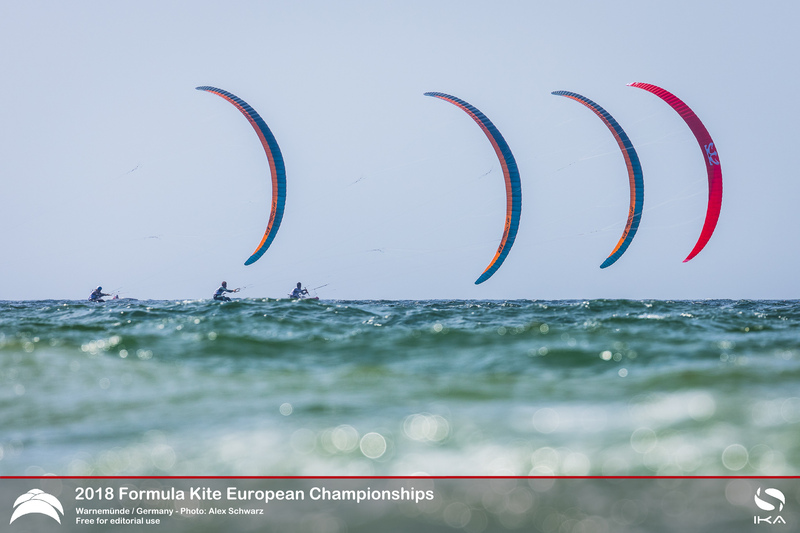 Pushing the SONIC RACE to the limit reflects the spirit of the brand, and all of the men and women who strive for victory. 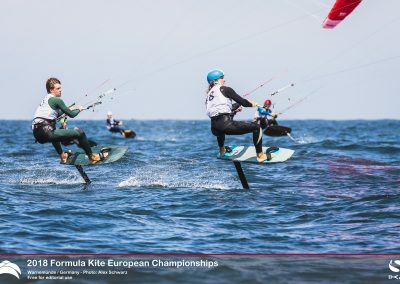 Formula Kite equipment can be bought through every kite shop worldwide and only registered IKA production equipment (hydrofoils & closed-cell foilkites) can be used to compete in this class, in our case, our SONIC RACE kite. 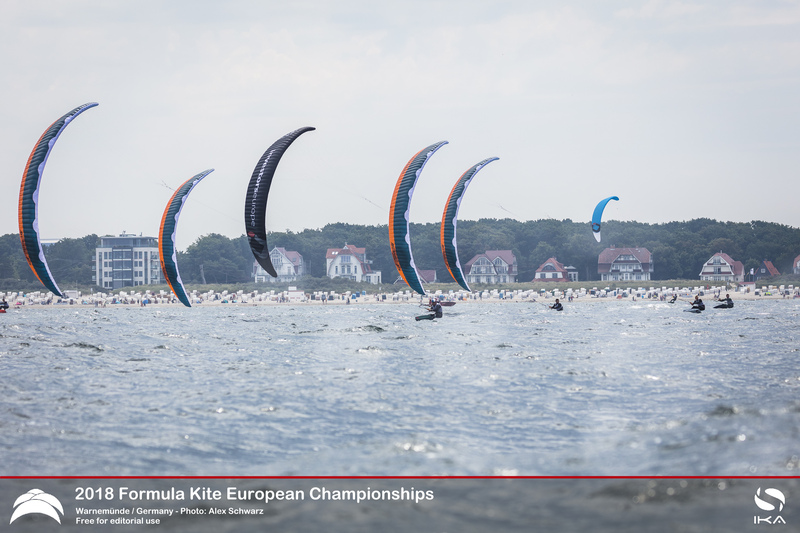 Warnemuende, a well known seaside resort close to Rostock, is well known for its fine-sandy beaches and reliable winds. 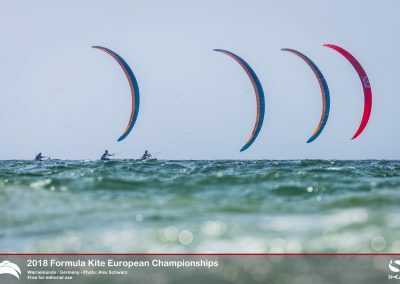 However, once the competition started, the race committee was challenged with either no wind or too much – but in the end 8 races in the qualifying series and 8 races in the final series were held for the 45 men and 14 women from 18 countries and 4 continents participating in this 2018 European Championship. 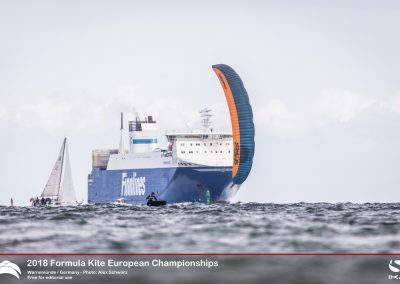 The event started off with strong north-westerly winds of well over 20 knots and some massive, steep swell which caused some headache not only for the race committee but also parts of the competitors. 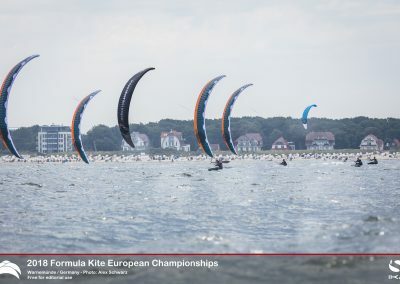 While racing was put on hold for all other sailing classes, at least one round of 4 races in the Formula Kite typical Short Track format was finished before the conditions became unmanageable. 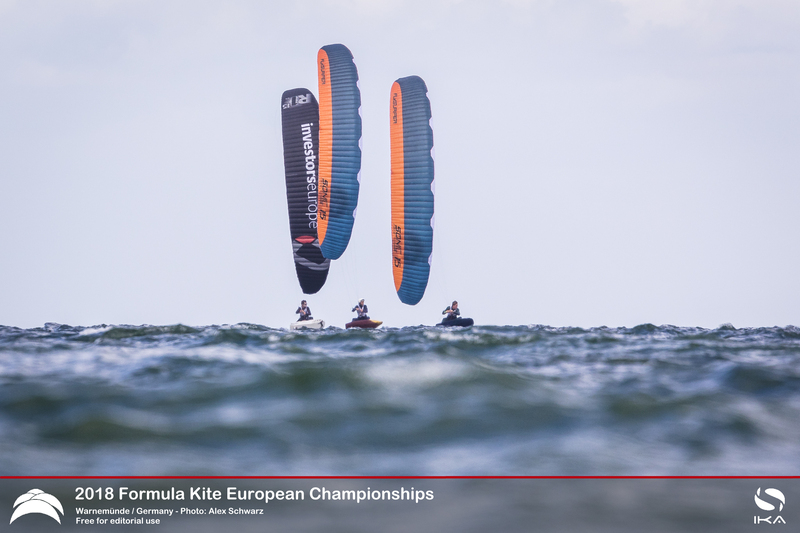 At the end of the qualifying series, the two Bridge brothers and FLYSURFER team mates – Guy and Olly – had traded first places with Axel Mazella from France, while defending European and World Champion Nico Parlier made some unusual errors and could be found further down the scoring board. 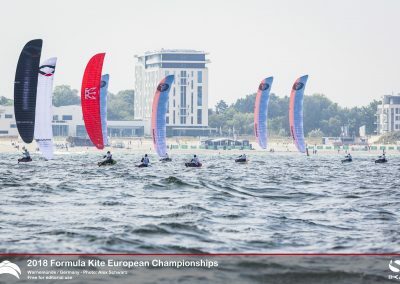 For the final series, the men’s fleet was split into small groups of 10 each for the gold, silver and bronze fleet to take full advantage of the close racing on the 6-minute track, with competitors finishing closely behind each other. The wind conditions for the final series again were very varying – from 6 to 18 knots. 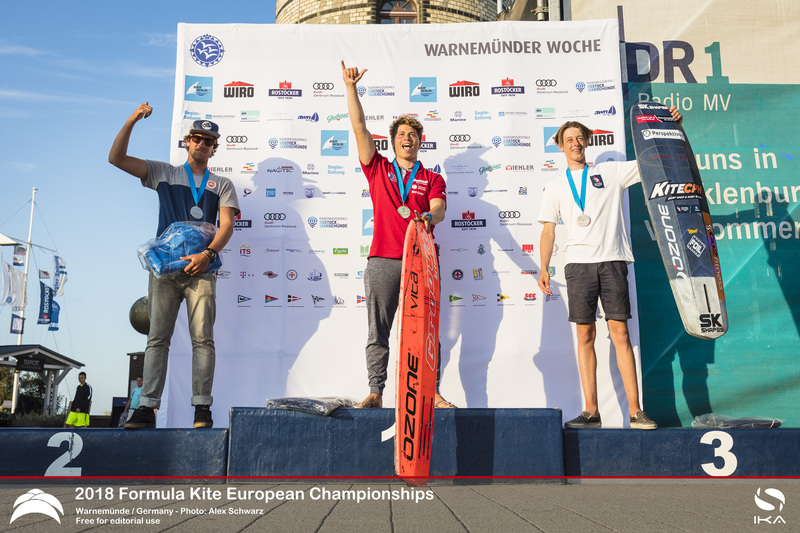 For this week it was clearly Guy Bridge (GBR) who stole the show closely ahead of his older brother Olly, with Axel Mazella (FRA) completing the podium after a disqualification for former World Champion Maxime Nocher (MON). 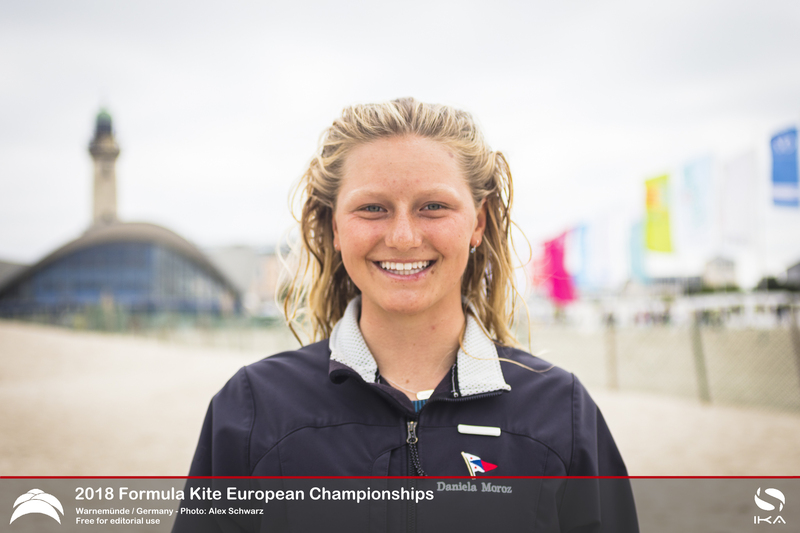 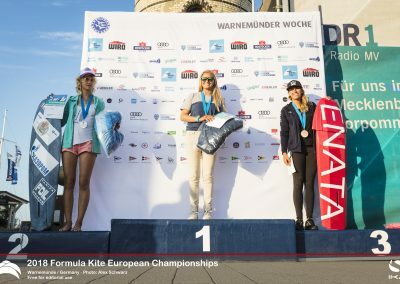 In the women’s single series, the 17-year old Daniela Moroz (USA), FLYSURFER’s youngest edition to our race team, stole the show another time – the defending Formula Kite double world champion is on the best way to claim her third world title in two weeks’ time in Aarhus at upcoming Formula Kite World Championships. With bullets in all but one race there simply seems to be no competition for her at the moment and she is looking forward to the battle with her male colleagues during the KiteFoil GoldCup events later in the season, when men and women compete together for the open KiteFoil titles. “I couldn’t have done it without the help of Benni, our amazing kite designer who was always there for the team on the beach. 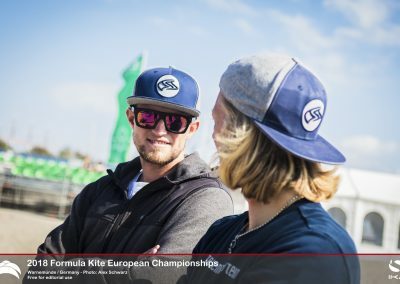 We’re beyond lucky to have him supporting us at events. 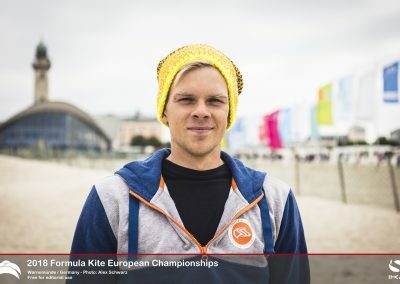 I’d also like to thank the rest of the team – Theo, Martin, Flo, Olly, and Guy – for always making me laugh and all the good times during this event. 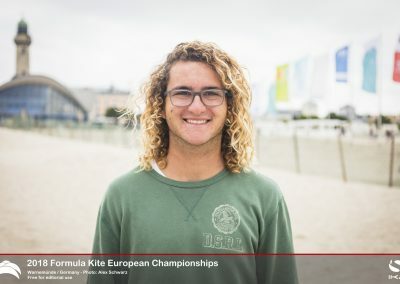 I can’t wait for many more to come. 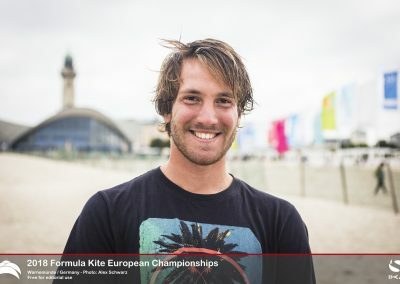 Let’s kill it in Aarhus!” summarizes the happy overall winner. 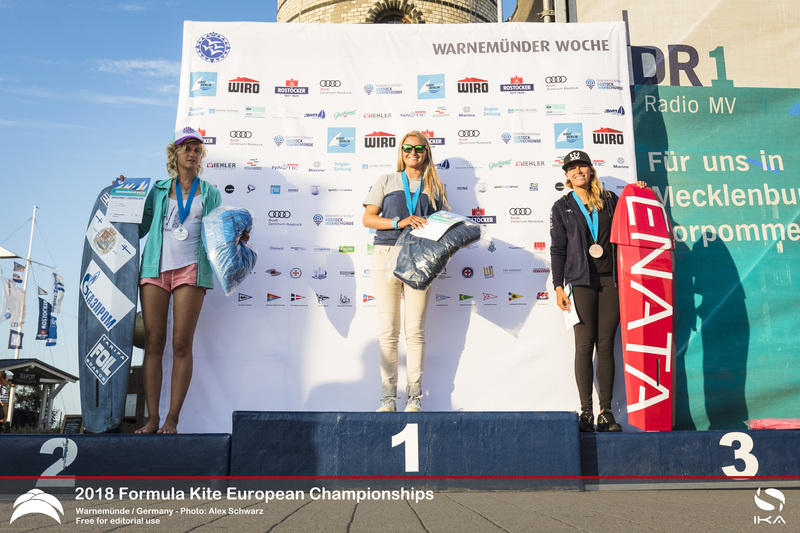 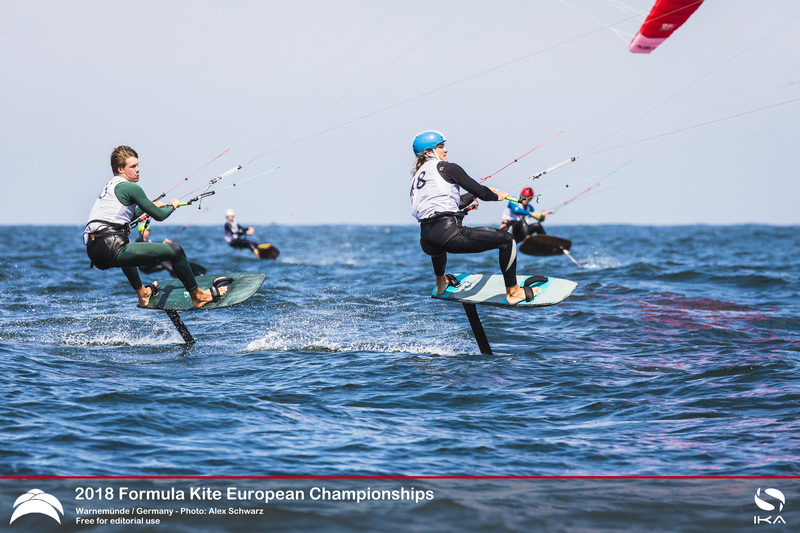 The battle for the remaining podium places was fierce though between the former world champions Elena Kalinina (RUS) and Steph Bridge (GBR) – FLYSURFER, as well as Alexia Fancelli (FRA). 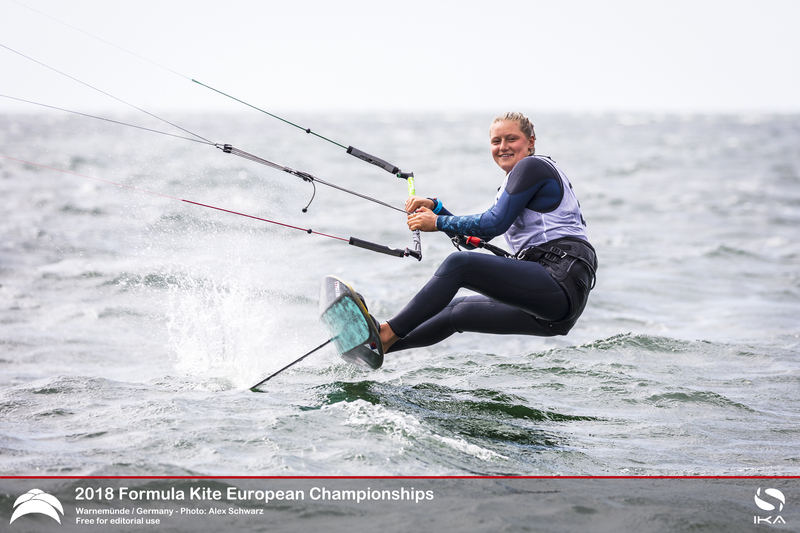 After 14 races, Kalinina claimed the European Champion title with a second place overall and Fancelli in third. 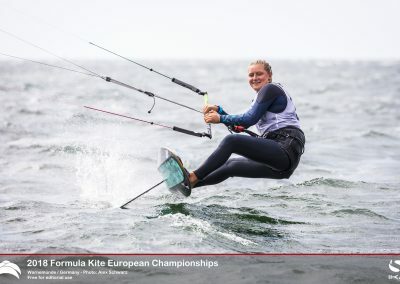 But it is clear to see that a new generation of female racers is challenging the established sailors, with 5 out of the top 10 girls being under 19 years old. 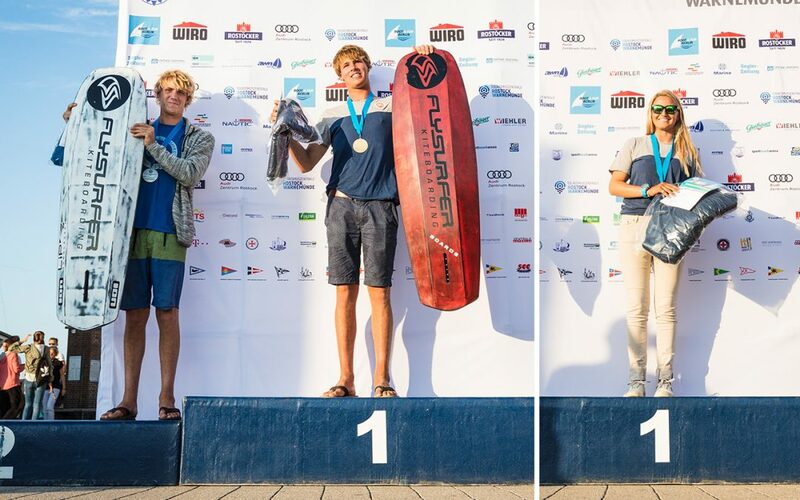 Over in the mens fleet, the youth titles went to Toni Vodisek (SLO) ahead of Martin Dolenc (CRO) – FLYSURFER and Oliver Hansen (DEN). 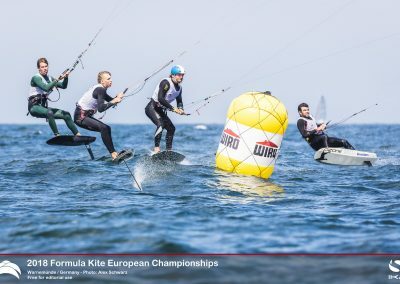 With 4 riders in the men’s overall top 5 using SONIC RACE kites, our FLYSURFER race team showed dominance and striking performance on the race course. 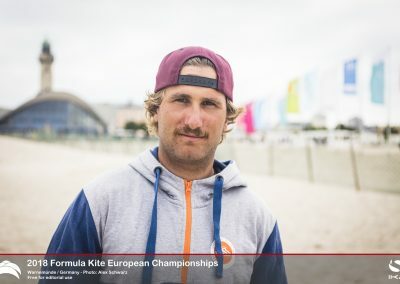 A visible sign of FLYSURFER’s full commitment to kite racing. 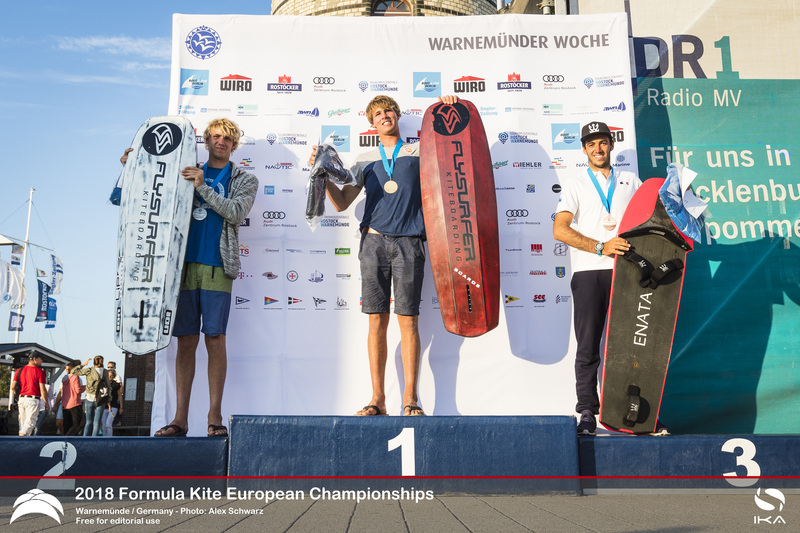 FLYSURFER is very proud of their athletes and compliments all of them with their stunning performance’s. 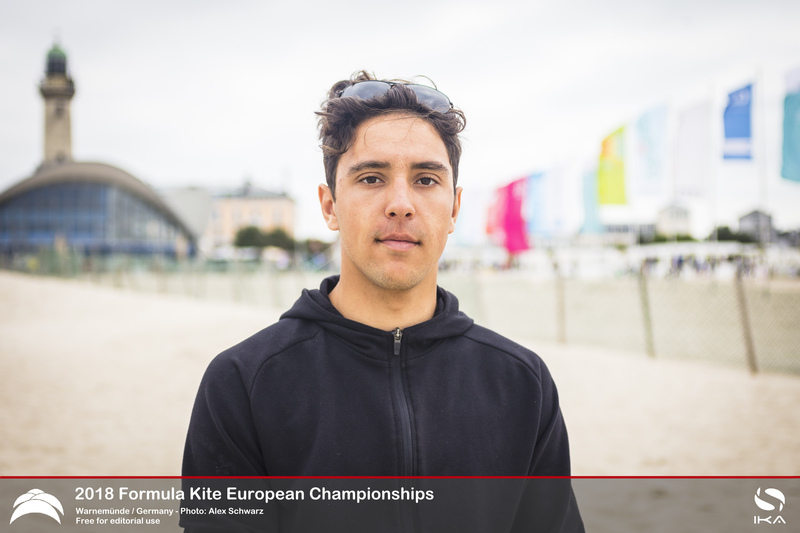 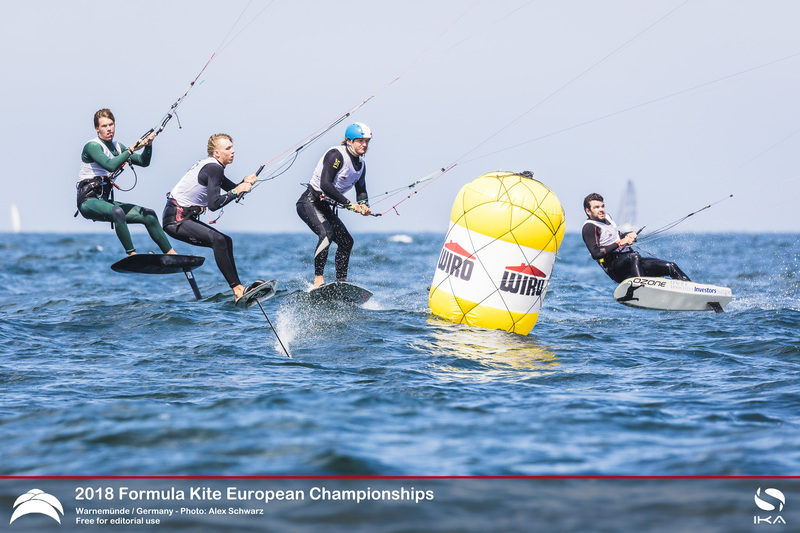 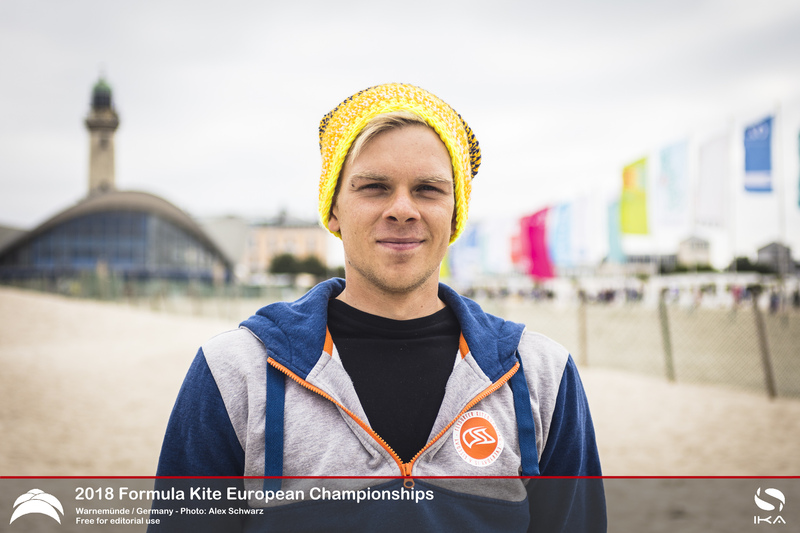 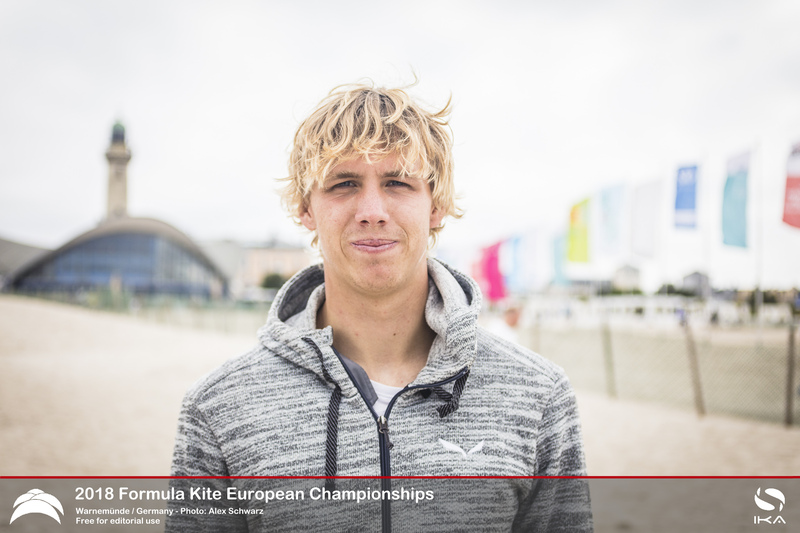 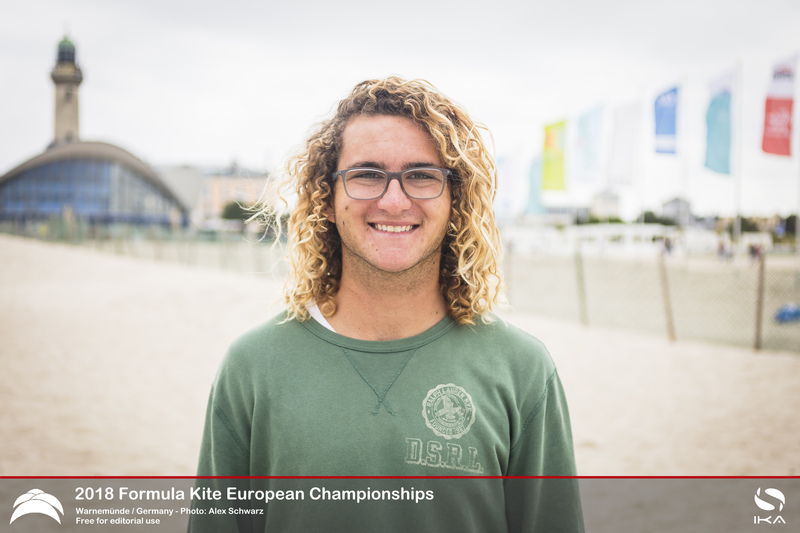 The fleet is now heading to Aarhus, Denmark for the long awaited Formula Kite 2018 World Championships from 5 to 11 August.